The Amerock BP15812WN Inspirations 1-3/4in(44mm) DIA Knob is finished in Weathered Nickel. Clean, classic lines in a casual relaxed style, Inspirations is designed to compliment any dicor. Weathered Nickel is a brushed, textured accent that adds dimension to the silver tones of Nickel while accenting the intricacies of each design. 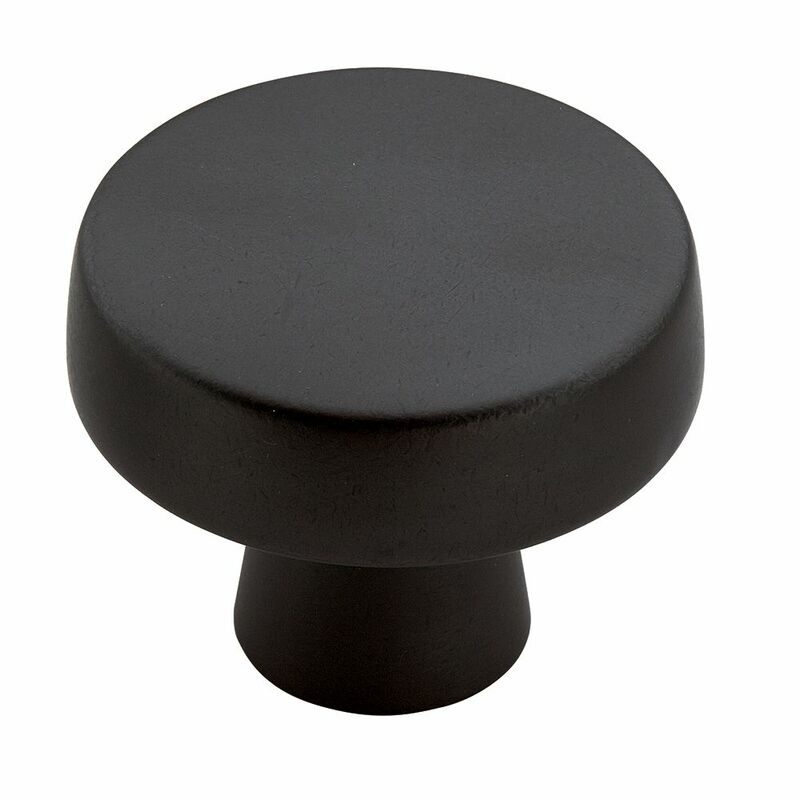 Blackrock 1-3/4 Inch (44mm) DIA Knob - Black Bronze The Amerock BP55272BBR Blackrock 1-3/4in(44mm) DIA Knob is finished in Black Bronze. The BlackRock collection offers sleek simplicity with a contemporary indulgence. This eclectic line boasts bold shapes and sizes. Black Bronze is a warm and slightly textured dark finish which nods to the softer side of Black without losing the richness of the Bronze feel.